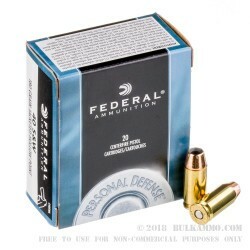 This cartridge shines in self-defense situations owing to its jacketed hollow point projectile. 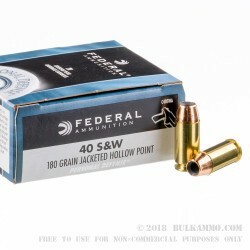 When this bullet enters a soft target, it will mushroom out to provide stopping power that you can count on. The bullet’s jacket helps to facilitate penetration into its target, as well as control the expansion thereof within. 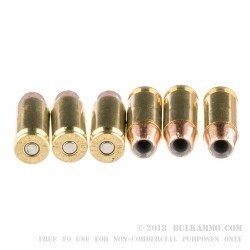 As a bonus, the bullet’s jacket will also preserve your bore against lead fouling, so you may enjoy accurate shots for longer in between cleanings. 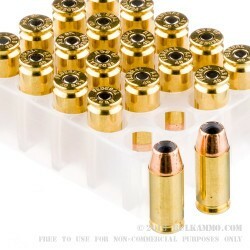 This is especially handy if you intend to train with this cartridge. It is always a good idea to become intimate with the performance of the round that you would stake your personal safety on. We wholly advise it, because we care about your safety (and we love repeat business).